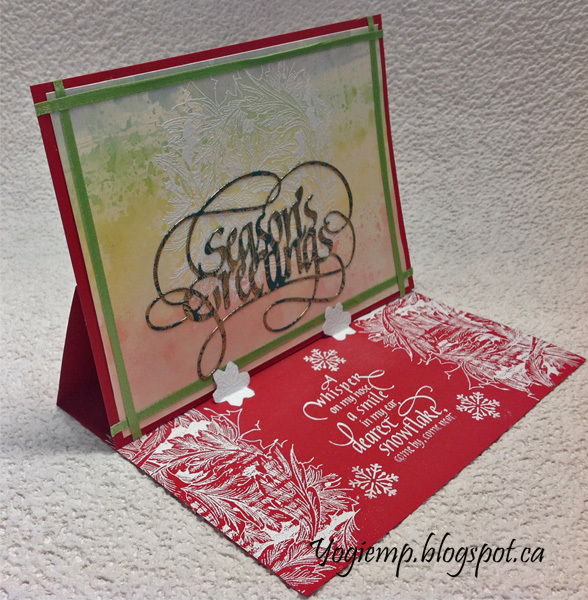 I was in a mood to use Suzanne's Leafy Acanthus background stamp - such a beautiful stamp... and thought I'd turn it into an Xmas card. 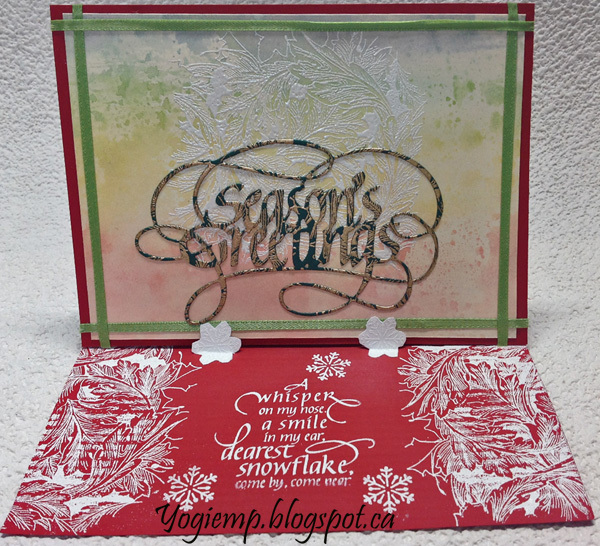 Ohhh, the white embossing with the acanthus stamp is gorgeous! Beautiful, soft background on this one. Wonderful card! Thanks for joining us at Crafty HazelNuts Christmas Challenge Extra.